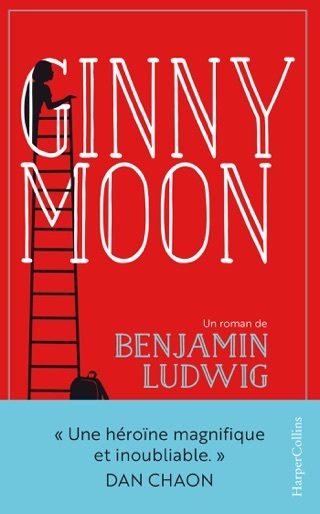 Meet Ginny Moon. She’s mostly your average teenager—she plays flute in the high school band, has weekly basketball practice, and reads Robert Frost poems in English class. But Ginny is autistic. And so what’s important to her might seem a bit…different: starting every day with exactly nine grapes for breakfast, Michael Jackson, her baby doll, and crafting a secret plan of escape. After being traumatically taken from her abusive birth mother and moved around to different homes, Ginny has finally found her "forever home"—a safe place with parents who will love and nurture her. This is exactly what all foster kids are hoping for, right? But Ginny has other plans. She’ll steal and lie and exploit the good intentions of those who love her—anything it takes to get back what’s missing in her life. She’ll even try to get herself kidnapped. 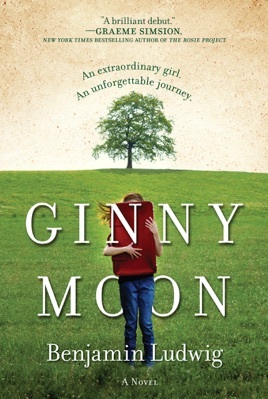 Told in an extraordinary and wholly original voice, Ginny Moon is at once quirky, charming, heartbreaking, and poignant. It’s a story about being an outsider trying to find a place to belong and about making sense of a world that just doesn’t seem to add up. 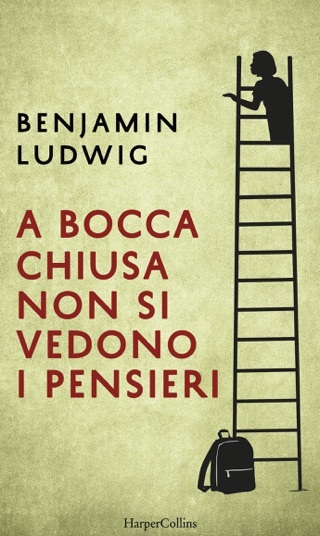 Taking you into the mind of a curious and deeply human character, Benjamin Ludwig’s novel affirms that fiction has the power to change the way we see the world. 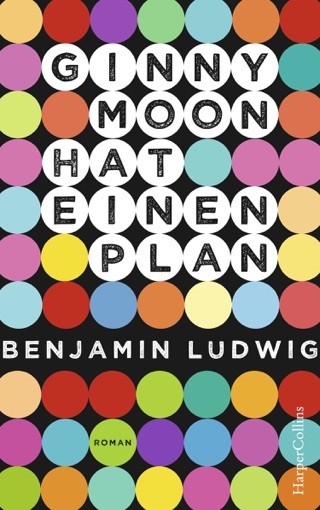 Based on Benjamin Ludwig’s real-life experience of adopting a girl with autism, this novel captures a perspective not often seen in literature. Fourteen-year-old Ginny is our narrator. We experience the world through her eyes, discovering what stresses her out, why she makes certain decisions, and how her goals don’t match those of the people around her. Beat by beat, Ludwig reveals the rules Ginny lives by—as well as the pain and abuse of her past. Ludwig’s canny understanding of his autistic protagonist and a strong, suspenseful plot make this story uncommonly tender and completely compelling. Ludwig's excellent debut is both a unique coming-of-age tale and a powerful affirmation of the fragility and strength of families. We meet 14-year-old Ginny, who has autism, as she settles into life with a new "forever family" and unexpectedly reconnects with Gloria, the abusive, drug-addicted mother from whom she was taken away at the age of nine and Rick, the father she never knew. The rediscovery unsettles the tentative bond Ginny's forged with adoptive parents Maura and Brian, exacerbates the teen's heartbreaking fears for the "baby doll" she left behind, and ultimately triggers a wildly heroic, secret plan to run away to Canada with Gloria and Rick. 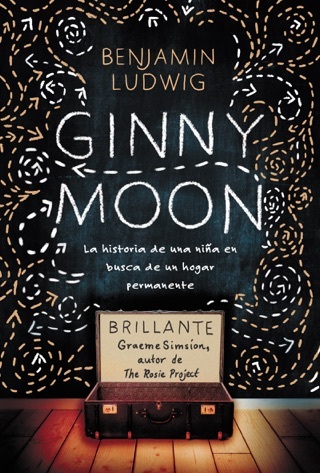 Ludwig brilliantly depicts the literal-minded and inventive Ginny whose horrifying past and valiant hope for the future are slowly unveiled and the alternately selfish, sympathetic, and compassionate adults who would do anything to get Ginny to choose their love. "I just wish someone would talk about what a delightful young lady she is," a frustrated Rick says. "We're trying to keep her apart from everything... but I think what she needs is to be closer to people." I couldn’t put this book down. I loved it. A great first novel.